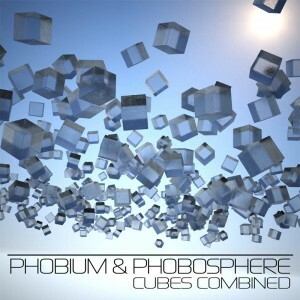 Cubes Combined is a compilation of various tracks by Henning H. Ottesen, a Norwegian producer whose work is divided between two overlapping and interlinked projects, Phobium & Phobosphere. Gathering up a wealth of previously released tracks, remixes for other artists, and special album edits, this diverse collection ranges from zero beat ambient and psychedelic chill out to more beat-oriented music, all with an original touch. Artwork by Creative Input. MP3 Download | FLAC Download | WAV Download · Download count: 11,041. Very nice compilation, indeed! Just a friendly suggestion: track number 7, “wait for it”, deserves an extended mix. This is just a great record! Starts off light and airy and gets quite deep and emotional. I’ve also got to concur w/ Anoptron, “Wait For It” is an amazing track. But Phobium, if you do read this, never forget you are a forest trance master! This downtempo style is wonderful, but your “Future Uncertain” and “Live in Gothenburg” are some of my all time favorite psy CDs! Excellent Album !! Beautiful feeling ! Thanks a lot for the quality ! !